This is what happen when Makenzie's mommy gets sick! LOL! Oh man! I am so glad yesterday is over and we can move on! 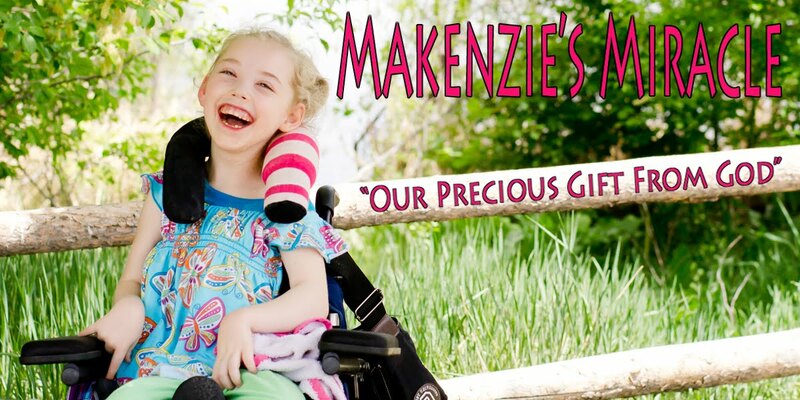 Makenzie is doing great! She is happy and giggly. I started full strength formula this morning and she seems to be doing ok. A few gags and spit up but for the most part good! She is fully hydrated with lots of wet diapers witch is a relief!!! Yesterday however mommy and daddy were sick! Yippie!! Being sick is one thing... having 4 kids and being sick is a whole different ball game!!! The boys were pretty good! They went to play with some friends and Zach had his transitional class in the afternoon. Makenzie didn't get up until about 9am which was nice. She was rip roaring ready to go!!! Now when you are sick and feel like you could pass out every time you stand up this becomes a problem! At moments it was nice to know that my four year old wasn't tearing the house apart. The flip side to that is every type of activity has to be assisted by me! Lifting her, holding her, playing with her.... HARD! Before giving her a bath I said a prayer for strength. She got a quick lotion, jammies and a crappy pony tail and then off to bed! Whew we made it! Much to their dismay the boys got a early trip to bed as well and I was sound asleep by 9:30pm! Oh what a long day it was!!! I am feeling much better. Still tired! I have asked the boys to help clean up... their messes....I am hearing a lot of fighting! Oh man! Yes we are THAT family! Zach thinks helping pick up the kitchen and doing the dishes might be the end of the world. Kaleb has thrown himself on the floor proclaiming he didn't make the mess and Josh has put all of his toys under his bed! Oh me oh my!!! Summer could not be over soon enough! Hopefully we will be back to therapy tomorrow. I still have not been able to get a hold of anyone from the school district. Hmmmmmmm. I am not thinking that school will be starting on time for Makenzie! I have almost all of our trip together to the NAPA center! I still have several phone calls to make but we are getting there! We do have an appointment this afternoon and a lunch meeting tomorrow! By the way.... Our world doesn't stop for SICK!!! Please pray for this bug to leave our home! Pray that the boys don't get it! Pray for the Stem Cells to continue to thrive and that we would start seeing great healing! Pray!! !